Our Staff - Gaudette Insurance Agency, Inc.
Lee Gaudette is the President and Treasurer of Gaudette Insurance Agency, Inc. He is the third generation to own and operate the family business, which was founded in 1926 by his great-uncle, Roy Gaudette. Lee joined the agency in 1990 starting as a commercial account executive. He became the sales manager in 1996, vice-president of sales in 1997 and president of the agency in 1999. He acquired ownership the agency in 2003. Over the years since he became president, Lee has led the Agency to triple in size. In 2012, the Agency was recognized by Massachusetts Association of Insurance Agents by earning their “Five Star Award” for the third time. Less than forty out of the more than fifteen hundred agencies in Massachusetts have earned this distinction. Lee is active in the community, having volunteered for or been elected or appointed to a wide variety of roles. He is a Trustee at the Whitinsville Christian School. He is the Past Chairman of the Greater Worcester Community Foundation and of the Blackstone Valley Chamber of Commerce. 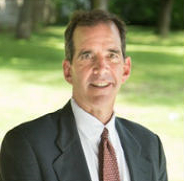 He is one of the founders of the Blackstone Valley Education Foundation. Gaudette also volunteers with several insurance industry organizations. He was chair of the Massachusetts Association of Insurance Agents in 2016 and has been the Treasurer of the Bay State Independent Insurance Agents Association since 2015. Lee graduated with honors from Worcester Academy, earned a Bachelors Degree from Tufts University and an MBA from Babson with highest honors. In his spare time, Lee enjoys cycling, boating, stamp collecting and crushing tee shots deep and right into the woods at Whitinsville Golf Club. He grew up and still lives in Whitinsville with his wife, Dina, and four children, Nicole, Caroline, Peter and Bobby. 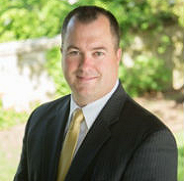 Rick Anderson is the Vice-President of Sales at Gaudette Insurance Agency, Inc. He started Anderson Insurance in 1988 and in 1993 joined forces with Jeff Bennett. The agency name then changed to Anderson-Bennett Insurance Agency, Inc. In 2000, the agency was sold to Gaudette Insurance and Rick was named as Vice-President of Sales. In this role, Rick manages the sales team, coordinates the agency marketing efforts and continues to sell primarily commercial insurance. 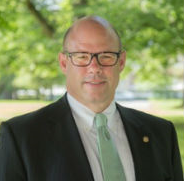 In addition to participating in local insurance industry organizations, Rick earned the national professional designation of Chartered Property and Casualty Underwriter (CPCU) in 2009. Rick is an active member in the community, supporting youth programs as well as local organizations. He is a former coach and board member for the Grafton Youth Soccer Program as well as a coach for the Grafton Wachusett Lakers. He is currently a member of the Board of Directors of the Blackstone Valley Chamber of Commerce and the Grafton Tennis Club. Rick graduated from Grafton High School before receiving his Bachelors Degree from Colby College in Maine. In his spare time, he enjoys playing tennis, golf, skiing and staying active. He lives in Grafton with his wife, Kathryn. 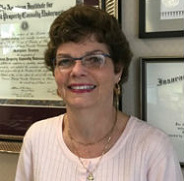 Maryann began her career at Gaudette Insurance Agency in 1987. 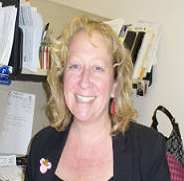 She is a licensed Property & Casualty Producer and holds the professional designations, Chartered Property Casualty Underwriter (CPCU), Accredited Advisor in Insurance (AAI) and Certified Professional In Personal Lines (CPPL) as well as a Bachelor’s Degree from Worcester State College in Business Management. Maryann lives in Whitinsville with her husband Tim. In her spare time she enjoys reading, watching sports and most of all spending time with her grandchildren. 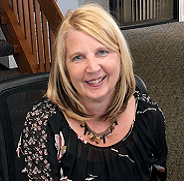 Joanne Augustine joined the Gaudette Insurance Agency commercial team in May of 2014, bringing with her 21 years of Agency experience, with the majority of her time spent in the Commercial Lines Division. Joanne has earned a number of professional designations including Certified Insurance Counselor (CIC), Certified Insurance Service Representative (CISR), Certified Professional Insurance Woman (CPIW) and Diversified Advanced Education (DAE). Joanne lives in Milford with her husband. She loves to golf and spend time with her friends and family. Joanne states, “I love working with clients. It is important to me to completely understand their business so I may properly protect their interests”. 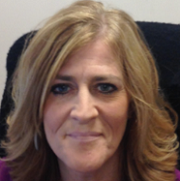 Kimberly Walsh, CIC, joined the sales team at Gaudette Insurance in 2012 with 28 years of previous experience. 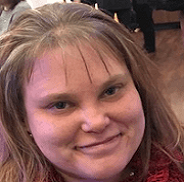 Early in her career Kimberly worked at Eastern Casualty Insurance, which was a specialty provider of Workers Compensation Insurance and, to this day, her knowledge of the details of workers compensation coverage is her main advantage. Since many businesses have questions or issues with their workers compensation coverage, Kimberly works with a wide range of industries, but her current focus is with manufacturers, contractors and restaurants. 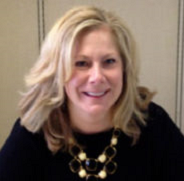 Kimberly is currently an active member of the Blackstone Valley Chamber of Commerce. She also participates in the annual UMass Cancer Walk in support of cancer research and walks as a part of Team Gaudette. She is a current member of The Triboro Business Networking International Group. She offers her time and services to the community youths programs in her home town. Kimberly lives in Burrillville, Rhode Island with her husband Michael, their daughter Victoria and dog Lucy. In her spare time, Kimberly enjoys reading, cycling, skiing and spending time with her large extended family. 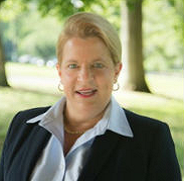 Amy grew up in Sutton, and graduated from Bryant College with a bachelor’s degree in Business Administration. 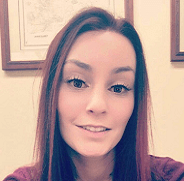 She has been working as an inside sales representative at Gaudette Insurance since 2005, and specializes in both personal and commercial lines coverage. She has earned her Chartered Property Casualty Underwriter (CPCU) designation. Amy currently resides in Worcester and spends her free time hiking with her dog Roxy, cooking and spending time with friends and family. She enjoys area sports, especially the Bruins and Patriots. 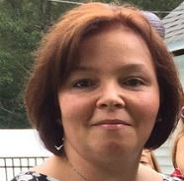 Christine Belanger joined Gaudette Insurance Agency, Inc. in 2004 as a Client Service Representative. She has over 20 years of experience servicing Personal Lines Insurance clients in the Blackstone Valley and is a licensed Property & Casualty Producer. Christine works hard to maintain her Personal Lines Insurance knowledge through continuing education and has earned her certificate for the 7 Steps to Personal Lines Success. Christine is dedicated to serving her clients and assumes complete responsibility for the renewal, service and claims for her clients. She provides prompt, accurate and courteous service to clients, colleagues and insurance company representatives. Christine participates in the annual Valley Friendship Tour which benefits Alternatives, one of Central Massachusetts' leading human service providers supporting over 550 people with psychiatric and developmental disabilities. She walks as part of Gerry's Gang in memory of Gerry Gaudette and to celebrate his life of giving to Alternatives. Christine currently lives in Uxbridge with her husband. She is the proud grandmother of twins. Christine can often be seen walking her dogs, Shorty and Peedey around Uxbridge and Whitinsville on any sunny day. Stop in and say hello to Christine, she will always greet you with a warm and welcoming smile! 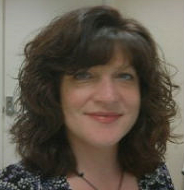 Carin has been working in the insurance industry since 1997, starting off in the claims department of a major carrier. She has been working at Gaudette Insurance since 2005 and obtained her license as a property and casualty producer at that time. She has completed her certificate for the 7 Steps to Personal Lines Success. Carin lives in Sutton with her husband and two children. Outside of the office, she enjoys spending time with her family and watching her favorite New England team, the Patriots. Jill joined the Gaudette team in 2016 working in the personal lines department. She has been involved in the insurance industry since 1986. Jill grew up in Hopkinton and now resides in Whitinsville. 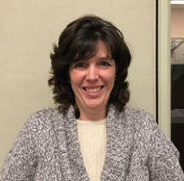 Outside of the office, Jill enjoys cooking, watching movies, going to the beach and spending time with her friends and family, daughter Bridget and son Joseph. 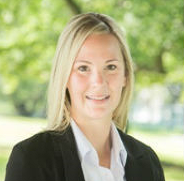 Nicole joined Gaudette Insurance Agency in February 2014. She has 20 years prior experience with a major carrier managing customer service teams within the Claims Department. Nicole obtained her Property & Casualty license and looks forward to serving the Gaudette clients. Nicole resides in Grafton with her husband, Marc and their two children, Ashley and Alex. She enjoys traveling, spending time with family and friends and cheering for the Washington, DC sports teams. Gail has been in the insurance industry for 37 years with a concentration in personal lines insurance. She has been a member of the Gaudette team since June of 1997 and is a licensed Property & Casualty Producer. Gail has lived in Uxbridge her entire life. She enjoys spending time with her daughter Amy, her son Douglas and six granddaughters. Outside of the office Gail enjoys going to Bingo and is a card shark with a specialty in Texas Hold’em. 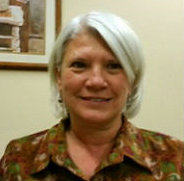 Caren Fortin joined Gaudette Insurance Agency as a Senior Commercial Lines Account Manager in August 1996. 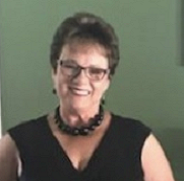 A licensed Property & Casualty agent for more than 33 years with company and agency experience, she earned the Certified Insurance Service Representative designation in 2004 and is working toward her Elite status. Caren is a team-player, working with the Commercial Lines staff to provide excellent client service for everything from marketing new business to claims handling and everything in between. You can count on top notch service when you speak with Caren. 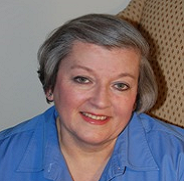 Caren currently resides in North Oxford with her husband John, son Cameron, and their dog Magoo. Caren's hobbies include watching the local professional sports team, going to NHRA events, camping, traveling, riding Harley Davidson motorcycles and spending time with her family and friends. She also has a passion for cooking and will be in her kitchen whenever she can. Paula Wyble joined the Gaudette Insurance Agency commercial team in March of 2002, bringing with her a vast store of knowledge and experience. Her long career as a Commercial Client Service Representative spans over 35 years and several states, from Arizona to New England. Along the way she has earned a few professional designations, the latest being the esteemed Chartered Property Casualty Underwriter (CPCU) in 2006, when she had the distinction of receiving the Award for Academic Excellence from the American Institute for CPCU. Other designations she holds include Associate in Insurance Services (AIS) and Accredited Advisor in Insurance (AAI). "One of my greatest joys comes from providing excellent service to my clients", says Paula, "whether it's issuing certificates of insurance, researching available markets, helping clients through the claims process, or any of the numerous other aspects of the job. You can count on me to do my best!" Paula enjoys spending time with her family, especially her four grandchildren. She currently resides in Uxbridge. 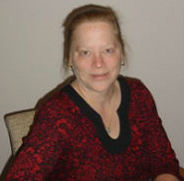 Lee Ann is a licensed Property & Casualty agent with 12 years of agency experience. She enjoys the relationships that come with working closely with commercial lines clients, and looks forward to building these relationships with our clients here in Whitinsville. 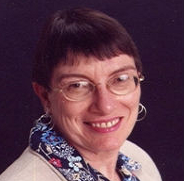 Lee Ann lived many years in Whitinsville with her husband and children. She was a Northbridge Girl Scout leader for 13 years and taught CCD at St. Patrick’s Parish. She now resides in Dudley, but is excited to be working in the Whitinsville community again. In her spare time, Lee Ann enjoys cooking and hiking with her husband David and spending time with their family. Aja began her insurance career working at a small agency while completing her Bachelors degree at Framingham State University. Upon graduation in 2004 she went to work for a major insurance carrier specializing in workers compensation claims. 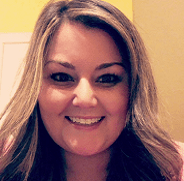 She joined the Gaudette team in November 2007 as a Customer Service Representative. During her time at the agency she has obtained her Property & Casualty license and is currently working toward her certificate for her Seven Steps to Success. Outside of the office, Aja devotes much of her time to her family and friends. She also enjoys reading, traveling, spending time at the beach and taking her young son for walks. 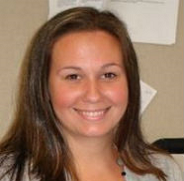 Jamie DeCaire joined the Gaudette Insurance Agency sales department in April 2003. He works out of the Grafton office as an Outside Salesperson and Account Executive. Jamie concentrates in commercial sales, in particular, Contractors, Condominium Master Policies and Apartment Buildings. He also works with Main Street businesses and continues to write home, auto, and life insurance policies. Jamie is currently an active member of the Auburn Chamber of Commerce and the Auburn’s chamber professionals networking group. Jamie grew up in North Grafton and graduated from Grafton High and Worcester State College. He plans to continue his education and work towards the Chartered Property and Casualty Underwriter designation (CPCU). Jamie lives in Grafton with his wife Kelly, their three children, Mason, Colin and Lucy. In his spare time, Jamie enjoys woodworking, playing ice hockey, golf and watching his children’s sports teams. A 40 year veteran of the insurance industry, Suellen began her career in the Claims Department of various major insurance companies. She moved to the insurance agency business in 1982. 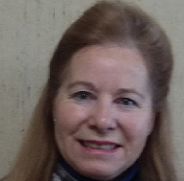 Suellen is a fully licensed broker for Life, Health & Accident, as well as Property and Casualty insurance. 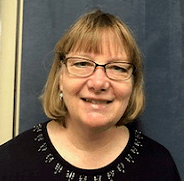 She has been with Gaudette Insurance Agency since 1994, working her first 10 years in the Whitinsville office, transferring to the Grafton office in 2004. As senior CSR, Suellen brings a unique combination of claims and underwriting knowledge to her work and uses that knowledge for the benefit of her customers. A Northbridge resident and mother of three sons, Suellen grew up in Grafton. In Northbridge she established both the “Reading is FUNdamental” program and “Holiday Window Painting Project.” She served on the board of the Northbridge PTO and as co-chair of the Northbridge High School Council. 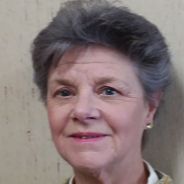 She is the office coordinator of the American Cancer Society’s “Daffodil Days.” Currently Suellen devotes her free time to volunteering and promoting an awareness of organ donation through the National Kidney Fountain and other “Donate Life” programs in Massachusetts. Heidi began working in the insurance industry in 2002 for a major carrier. She worked in Life Insurance Sales for awhile then became an in-house producer for personal lines products. Heidi has since settled into the agency environment. She's the most recent member of the Gaudette Team, joining us in May of 2011. What Heidi likes most about working for an agency is the relationships she develops with her clients. She is currently working towards her Associate in Personal Insurance (API) certification. Heidi lives in Auburn. In her spare time, she enjoys camping, seeing local bands and watching the Bruins. 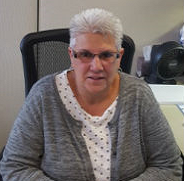 Pat joined the Gaudette team in 2015 in the personal lines department and is working out of the Grafton location. She obtained her Property & Casualty Producers license in 2014. Pat lives in Uxbridge and is the mother of two grown daughters. She graduated with honors from Penn State University in 2005. In her spare time, Pat enjoys spending time with family and friends, staying active, reading, music and is somewhat of a political junkie.